This is a completed piano score of Schubert un(Finished) Piano Sonata in E major, D. 157, completed by Neil Crossland. This completed score had intentionally marked the end of Schubert's original writings with a dotted bar line. The remaining composition after the dotted bar line are composed and completed by Neil Crossland. Pianists hence have a choice to either play the entire completed sonata by Schubert & Crossland; or simply remain with Schubert's original composition. This is a completed piano score of Schubert un(Finished) Piano Sonata in C major, D. 279, completed by Neil Crossland. This completed score had intentionally marked the end of Schubert's original writings with a dotted bar line. The remaining composition after the dotted bar line are composed and completed by Neil Crossland. Pianists hence have a choice to either play the entire completed sonata by Schubert & Crossland; or simply remain with Schubert's original composition. 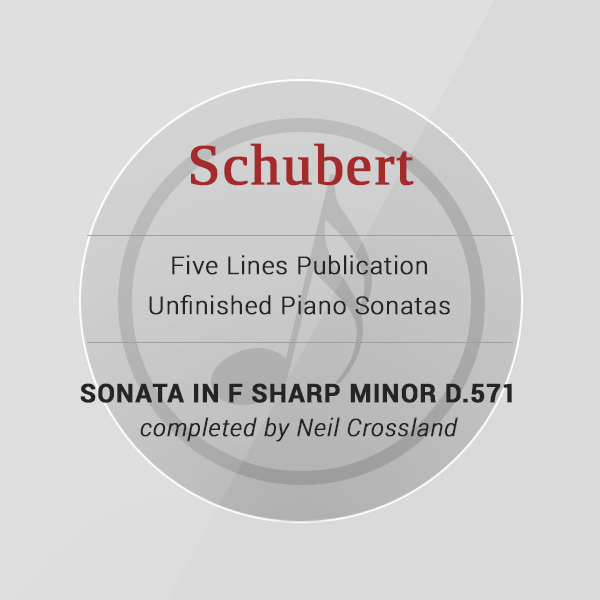 This is a completed piano score of Schubert un(Finished) Piano Sonata in F-sharp minor, D. 571, completed by Neil Crossland. 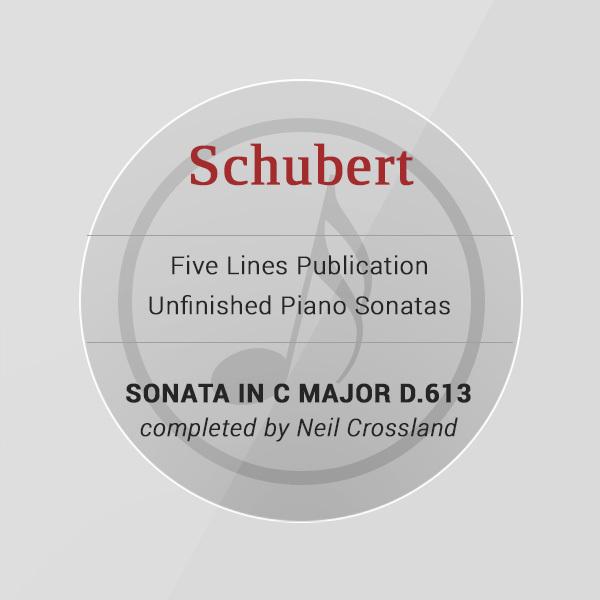 This is a completed piano score of Schubert un(Finished) Piano Sonata in C major, D. 613, completed by Neil Crossland. 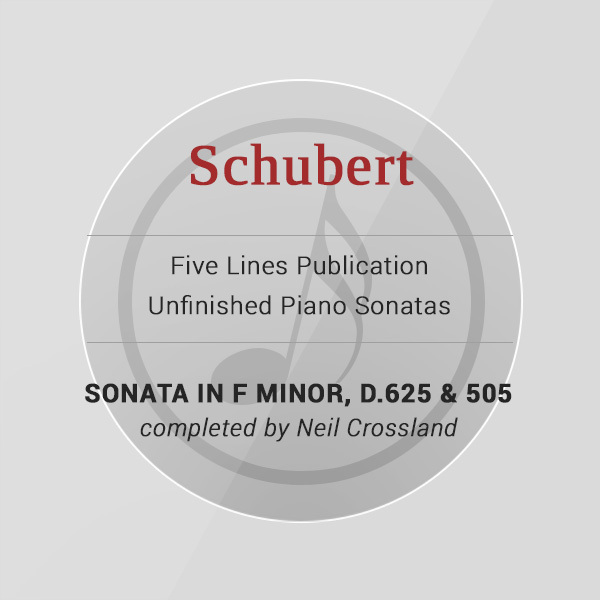 This is a completed piano score of Schubert un(Finished) Piano Sonata in F minor, D. 625 & 505, completed by Neil Crossland. This is a completed piano score of Schubert un(Finished) Piano Sonata in C-sharp minor, D. 655, completed by Neil Crossland. 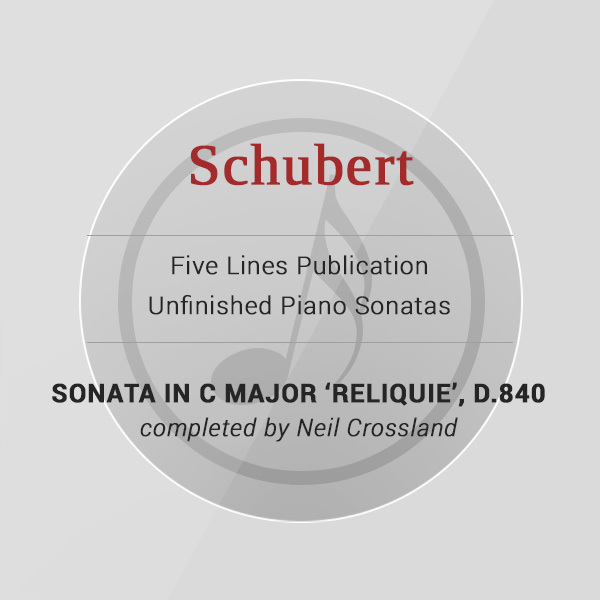 This is a completed piano score of Schubert un(Finished) Piano Sonata in C major 'Reliquie', D. 840, completed by Neil Crossland.